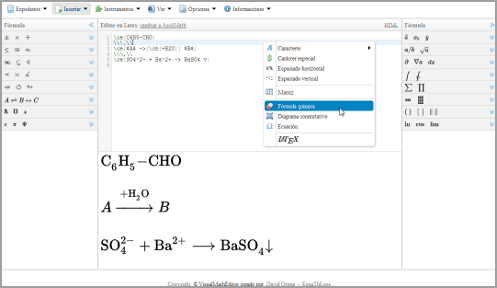 “ It now offers more than 730 LaTeX symbols and 210 AsciiMath symbols. 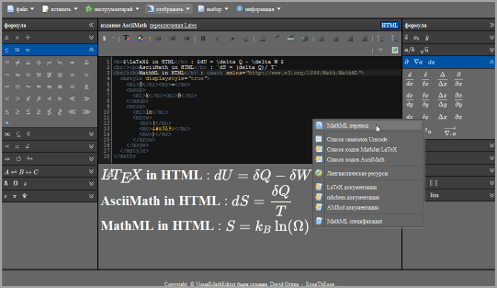 It now works with LaTeX, AsciiMath, MathML and HTML syntaxes. It now can do PNG and SVG images exports. It improves the ergonomics of the user interface. 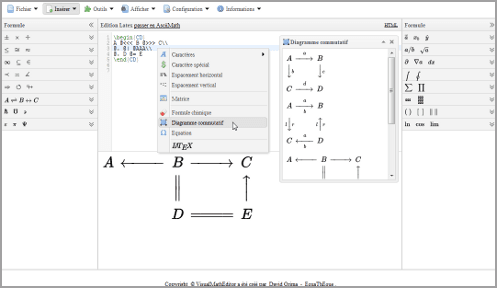 More than 730 LaTeX symbols. 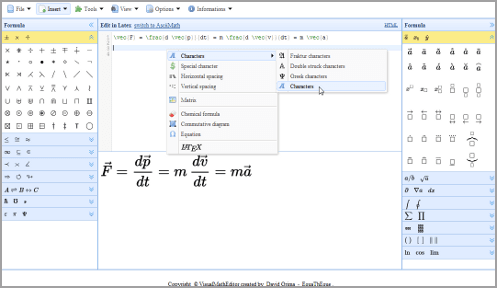 VisualMathEditor is built to run on many media and to be compatible with all modern browsers. 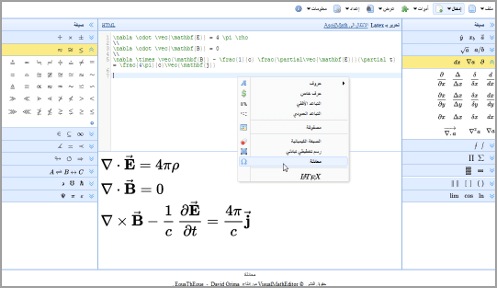 With MathJax, a display engine for mathematics that works in all browsers. No more setup for readers. No more browser plugins. 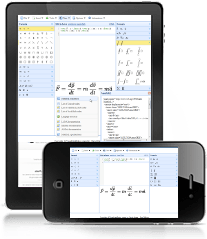 No more font installations… It just works.